All aboard! The Q Train is departing. The Bellarine’s newest train experience is nearing completion and it is promising to showcase the region’s finest produce. The brainchild of Andrew Bridger and his son-in-law Daniel Trotter, the Q Train will open for business in late winter and will be a moving restaurant ambling through the picturesque countryside between Drysdale and Queenscliff on the Bellarine Railway. 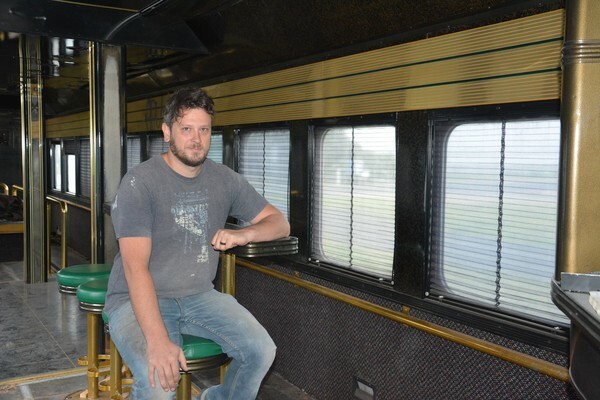 “He (Andrew) approached me last year and said ‘I’ve got this idea and I’ve found trains up in Queensland, so how about doing a restaurant on a train?’” Daniel said. The rolling stock, believed to originate from the 1950s, was purchased and brought down to Queenscliff, where the carriages are now being refurbished into a moving, culinary delight. “I’ve been meeting with a hell of a lot of producers locally in the last few weeks,” Daniel said. The Q Train will start off with three carriages seating 44 guests and will operate from Drysdale station with plans to add more once the refurbishment is complete. “Eventually we want to get it up to 100 people, but not any more than that,” Daniel said. The Q Train got its name for a few simple reasons. “Q for Queenscliff, Q for Queensland and just because it sounds really cool,” Daniel said. Similar in concept to the Blues Train, the Q Train will feature a seasonal menu. “We’ve had so much help from railway volunteers giving us a hand, which has been fantastic,” Daniel said.